They are a very good self-learner and almost learn anything by themselves, but don't get discouraged if you don't have those skills. By perseverance and hard work, you can also learn whatever you want. In the past, I have shared some tips to learn new technology and books and courses are an integral part of it. I personally like free courses to start learning a new technology like when I had to learn Apache Spark recently, I started with online courses followed by book for more comprehensive learning. Online courses provide you a summary and essential details so that you can get a start without investing too much time. It is also a more engaging and active way of learning. On the other hand, books are a little bit passive learning than courses and that's why you must have some background to grasp the technical details given in books. In this article, I am going to share some of the best, free online courses to learn Web Development using HTML and CSS. If you are new to web development space then you can use these courses to start your journey in the beautiful world of websites. If you can spend a few bucks for an awesome course then I suggest you to just take a look at The Web Developer Bootcamp by Colt Steele. One of the best course to learn Web Development from scratch. Here is my collection of some of the best web development courses for programmers which are available free of cost. You can learn them from these courses from the comfort of your office and home and you can also learn at your own pace. You can slow down, do some coding and then start again. 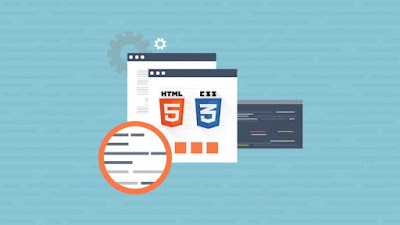 In the HTML section, you will learn how to perform simple tasks such as creating a basic web page, adding images, changing colors, and constructing lists, while in the CSS section you will learn how to beautify your web pages. I know everyone uses Bootstrap nowadays to make their webpage beautiful and look professional but in order to use Bootstrap a leading CSS library, fundamental knowledge of CSS concepts are important and that's what you will learn in this course. If you are interested you can also see this RoadMap to become Web Developer in 2019. This is an excellent course on Udemy to learn Front-End Web Development from scratch, as it will not only teach you all essential technologies, libraries, and frameworks for web development but also show you how to use them effectively by building real projects. This course will teach you all of that in an interactive and comprehensive way. A good deal for a free course. This is another great course to learn HTML and CSS for web development and perfect for junior developers and computer science graduates who want to become a web developer in 2019. You can see that the course is very well structured. The first two sections will teach you HTML and CSS, from beginning to end and the third and fourth section will test the knowledge you have learned in the first two sections. If I have to suggest one thing to all the programmers, web developers and computer science graduates who want to go into web design or front-end development to learn that that must be the responsive theme and pages. In today's world, responsive design is just because people are using different devices to access the web pages e.g. mobile phones, smartphones, tablets, desktop, laptops, and even TVs. 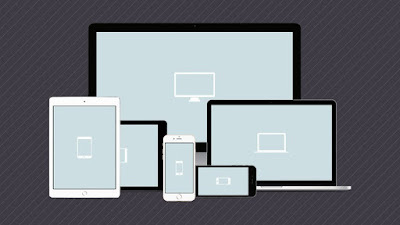 A responsive web page can adjust automatically depending on the screen size and looks good to the user and that's why it's important. This course will teach you all the things you need to know to learn responsive web development like frameworks, libraries, techniques, best practices etc. This is one of the more up-to-date web development course which you can get it for free in Udemy. This course focuses on the latest version of HTML and CSS i.e. HTML 5 and CSS 3, which is very important for a new developer. 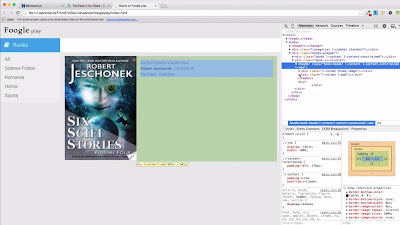 There is no point learning an older version if you are just starting to learn web development from scratch. By learning the updated version, you are bound to get better performance and create better apps. It also helps when you search for a web development job because companies obviously prefer a candidate who has knowledge of the latest and greatest web technologies. That's all about some of the best courses to learn web development using HTML and CSS with free of cost. Even if you know HTML and CSS, these free resources are a great way to refresh your knowledge and fill your gaps. Web Development is an important skill and in the age of startup, I think, every programmer should know how to create a website or mobile app himself. Thanks for reading this article. If you like these free web development courses then please share with your friends and colleagues. If you have any questions or feedback then please drop a note. P. S. - If you can spend a few bucks for an awesome course then I suggest you to just take a look at The Web Developer Bootcamp by Colt Steele. One of the best course to learn Web Development from scratch.